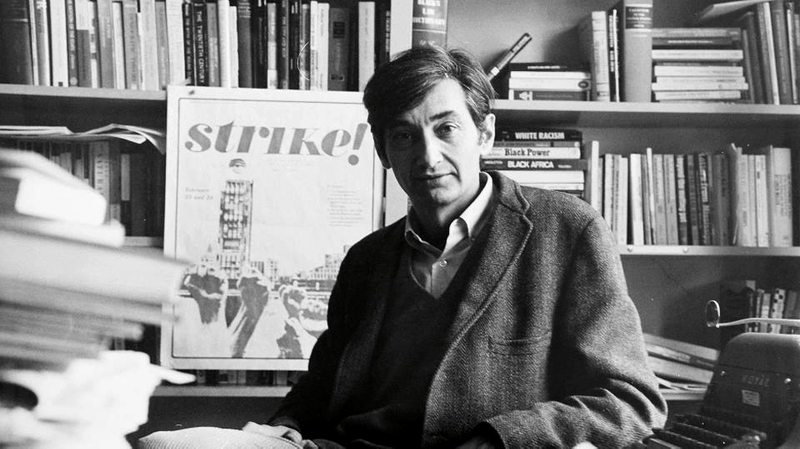 Howard Zinn speaks at Mount Holyoke college on the flux of student radicalism tied to the Civil Rights and Anti-war movement. Zinn speaks of his own personal experiences, as well as those of others he met during this time in American history. This was originally broadcast on WFCR on October 20, 1965. Howard Zinn (August 24, 1922-January 27, 2010) was an American social activist, a historian and playwright. He was a political science professor at Boston University from 1964-1988, and published over twenty books, the most famous of which being A People’s History of the United States. Zinn wrote profusely about civil rights, anti-war movements and labor history in the United States throughout his career.